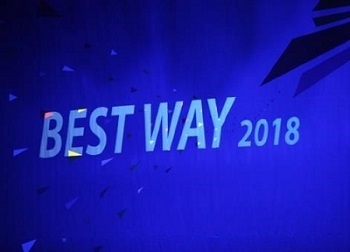 “BEST Way 2018” stands for “B” as Basic Attitude, “E” as Effective Treatment, “S” as Secure Service, and “T” as Trusty Relationship as the goal of the hospital toward 2018. Changwon citizens will be able to enjoy a better healthcare service as Changwon Fatima Hospital kicked off the BEST Way 2018 program, a multi-sector project aimed to develop new forms of medical treatment in commemoration of the 44th anniversary of Changwon Fatima Hospital. The project was presented at the Conventional Center of Changwon city with more than 700 attendants including hospital staff members, doctors, nurses, employees and patients of the hospital. Chief Executive Officer Sr. Vianney Park delivered a speech introducing the future plans of the hospital. Reports of each sector were presented as well and to finalize the big event, 70 helium dove balloons were released into the air symbolizing the new way Changwon Fatima Hospital intends to go.